Kane Hall Barry is now infusing Ocrevus, the first drug approved by the FDA for the treatment of primary progressive MS. Ocrevus is also approved for relapsing remitting MS, the more common form of the disease. Ocrevus is an “anti-CD20 monoclonal antibody.” That is to say Ocrevus targets components of your own immune system which, in MS, can damage your own nerve cells. We began infusing Ocrevus in April of this year and have already treated 14 patients. Our experienced infusion staff and dedicated infusion suite provide a convenient, comfortable experience for patients for whom Ocrevus is prescribed. 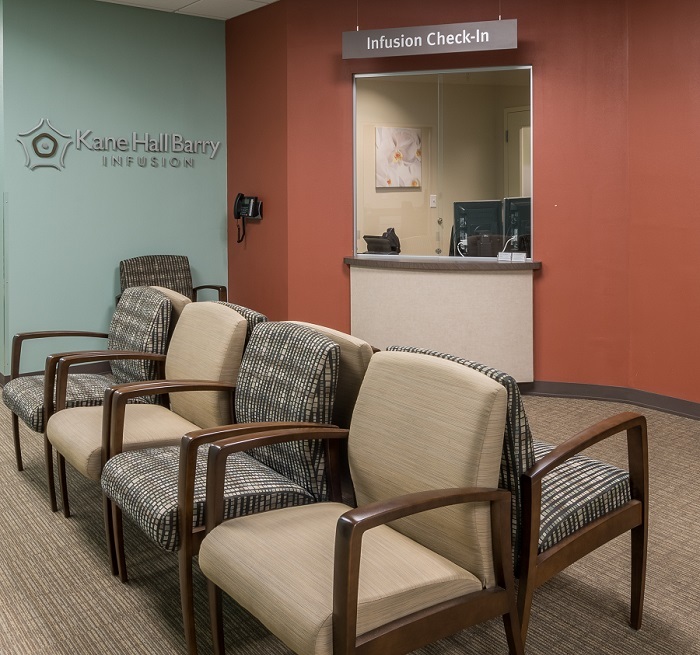 Kane Hall Barry Infusion patients are treated by our infusion Registered Nurses including a Multiple Sclerosis Certified Nurse (MSCN). In addition, our dedicated infusion coordinators provide assistance in insurance pre-authorization and help locate and secure co-pay assistance options. Click here to see more information about our infusion suite. See what Multiple Sclerosis News Today said about Ocrevus in the treatment of MS.